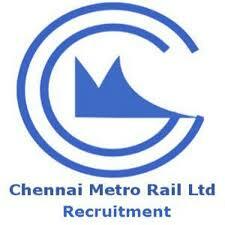 Chennai Metro Rail Limited (CMRL) is going to conduct walk – in interview for recruiting eligible applicants to the posts of Site Engineer (Civil). This posts have to be filled for 8 vacancies. Applicants having degree in civil engineering also applicants age should not be exceeding than 30 years. Eligible applicants can bring their applications to have an interview with the selection committee. Walk – in Interview is on 3rd February 2018 from 9 Am. Applicants have to bring their applications along with all original documents & certificates as necessary to the posts. Applicants to this posts must have graduations degree in civil engineering from any recognized University/Institute. With 5 years of experience in the relevant filed. Applicants age should not be exceeding than 30 years. Eligible applicants can apply to the posts by walk – in for interview with the selection committee. Chennai Metro Rail Limited, CMRL Depot, Admin Building, Poonamallee High Road, Koyamedu, Chennai – 600107.